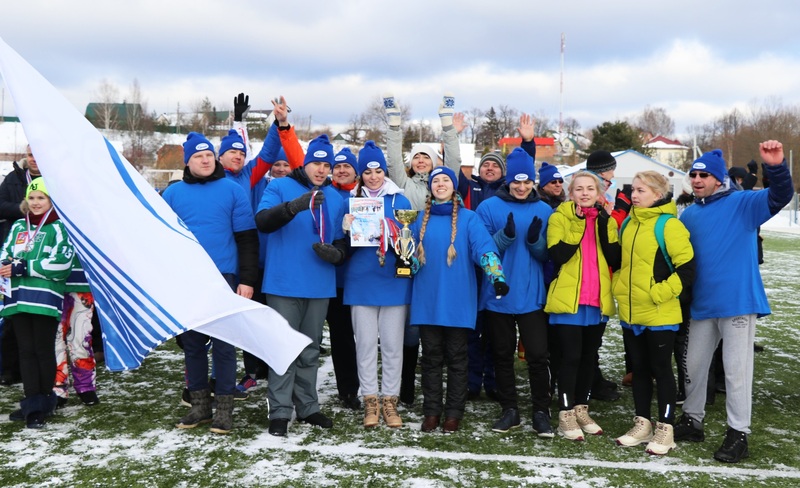 “Elinar” team is a winner of winter Spartakiad. On February 11, 2017, the open settlement Winter Spartakiad 2017 was held at stadium of MAU MKSTs “Zodiac”. Seven team took part in the Spartakiad. “Elinar-Broiler” employees were in the common “Elinar” team. The skiing relay opened the Spartakiad, the competitions on table hockey, hockey on grass among girls and “shooters” were begun in parallel. So, the supporters weren’t bored, cause they needed to cheered the participants of the competitions up in several places at the same time. The impartial judges represented by the instructors of MAU MKSTs “Zodiac” kept a wary eye on the Spartakiad conducting. The most exciting, fascinating and emotional competition – “Women running” or the hockey on grass among the girls – gathered almost all attention of all of the supporters! Intensity of emotions was really serious! The final competition was “Joyful relay” which required the special skills and physical conditioning. According to the results on all of the sports activities, “Elinar” team became the winner of the Spartakiad!